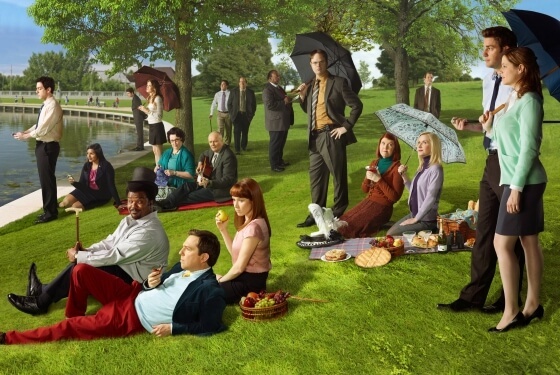 The cast of one of my favorite shows meets Seurat’s post-impressionist masterpiece. Love it. As you may know, I love The Office. I love watching marathons on DVD and quoting episodes with friends. When I sat down to think of my favorite moments from the show, I ended up with a list 40 items long. I really tried to narrow it down to the moments I always go back to, the ones I always have in my head, and the ones that make me laugh most. To make it easier, I limited this top ten list to seasons 1-4. Although I do love the newer seasons, the first four were absolute gold. I’m positive many will disagree on these, but trust me, there were plenty of moments I thought I just couldn’t leave out. I managed to get the list down to ten favorites, but it was really hard. That’s what she said. 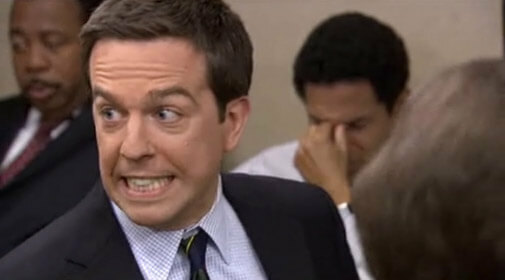 Who could forget all the hilarious pranks Jim has pulled on Dwight over the years? 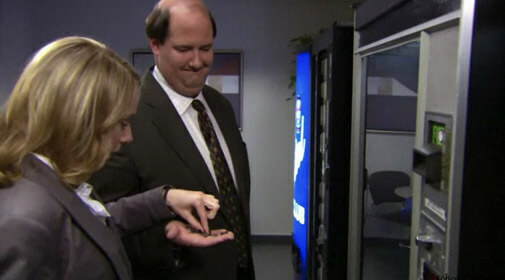 Moving his desk into the bathroom, making him want a mint at the sound of computer restart, and putting all his belongings in the vending machine were all classics. 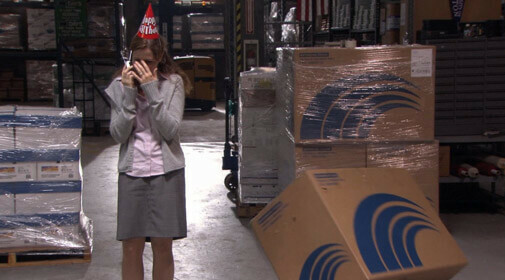 Still, one of my very favorites was when Jim convinced Dwight to create an alliance and hide in a cardboard box in the warehouse. 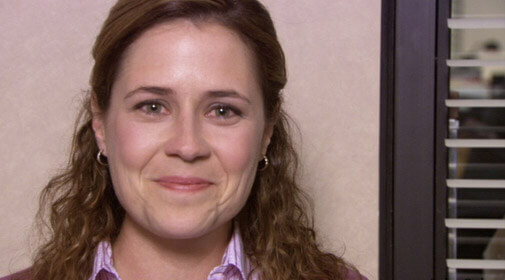 I can’t help but laugh thinking about Pam losing it as Dwight scooted and tipped the box trying to overhear her phone conversation. 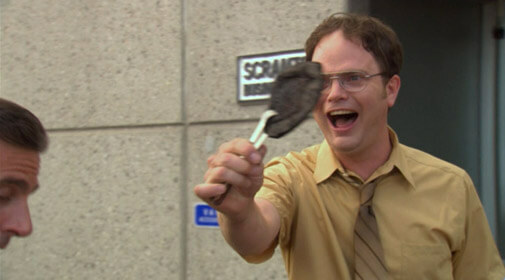 When Ryan started the fire with his cheesy pita, Dwight couldn’t help but taunt him. 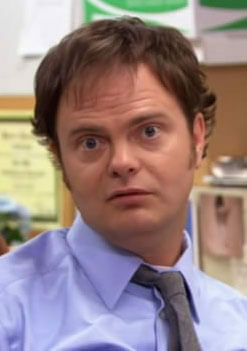 While Ryan knew a thing or two about business and had the loving attention of Michael for the day, Dwight so perfectly inserted Ryan’s embarrassing moment into Billy Joel’s famous tune. Now whenever I hear that song, I can’t help but sing Dwight’s lyrics instead. 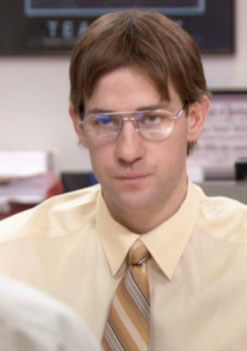 Although Jim’s pranks on Dwight are always hilarious, I especially love the collaborative pranks the office plays on Michael. One of the great ones was when Michael requested they all share stories of lost loved ones. They didn’t skip a beat, describing famous movie deaths from Million Dollar Baby, The Lion King, and Weekend at Bernie’s. 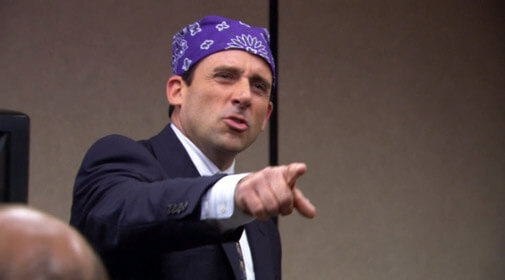 Of all Michael’s alter-egos, Prison Mike is my favorite. He kept it real and told everyone how bad it was “in the clink.” He ate gruel and had to avoid the dementors flying around. And the very best part was when he told Ryan he’d be “the belle of the ball.” Don’t drop the soap! Michael isn’t strong in the racial sensitivity area, as clearly demonstrated in season 1’s Diversity Day. But his best racial issue happened at their annual Christmas party. After having dinner at Benihana, they invited two of the Asian waitresses to join them at the party. While singing karaoke, Michael realized he couldn’t tell the two apart. So he covertly marked one of them with a Sharpie. Problem solved. This one really only needs four words: Bears. Beets. Battlestar Galactica. I love the episode Casino Night when Jim finally confessed his love for Pam. We waited all of season 3 with high hopes they would stop messing around and date already. 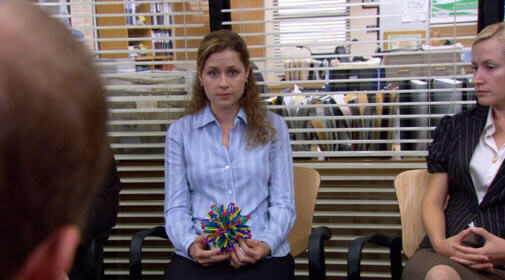 With the corporate job and Karen in the picture, no one knew if Jim and Pam would be separated for good. Luckily a yogurt lid snapped him back into reality and gave us the best “Yessss!” moment of the entire series. Pam’s face says it all. 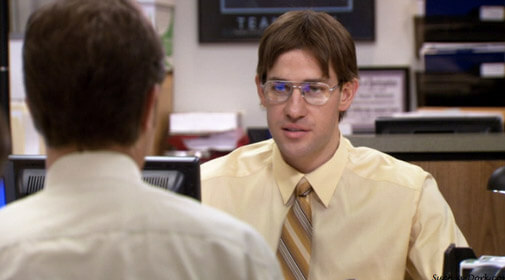 Throughout the series, we received brief, but wonderful glimpses of Dwight’s cousin Mose and strange stories about their family’s beet farm. 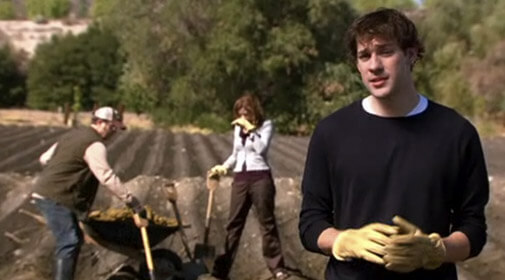 In season 4, Jim and Pam spent a night there and hilarity ensued: Mose greeted them by running beside their car, the America, nighttime, and irrigation themed rooms, manure fights and table making demonstrations, and of course, the Harry Potter bedtime story.